The weeks leading up to the end of school were a fast ride of non-stop events! 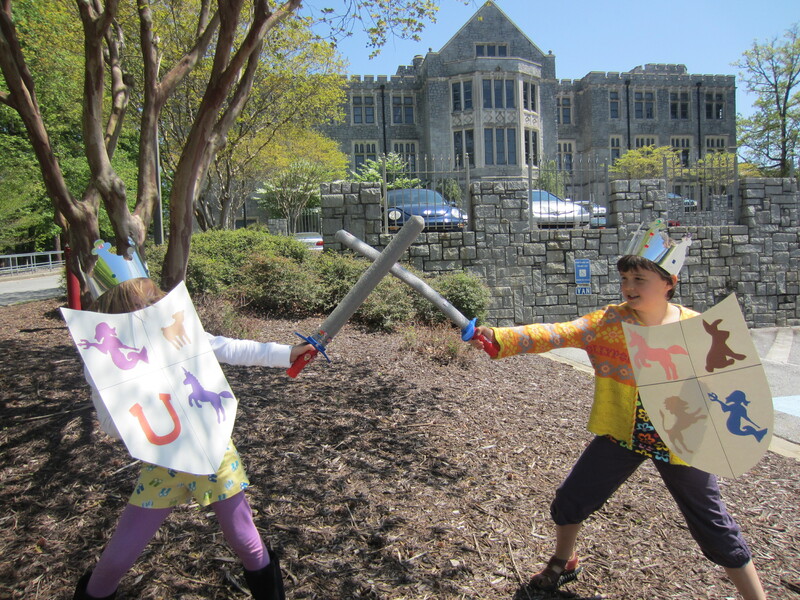 I couldn’t resist posing the sword fighting photo in view of one of the beautiful buildings at Oglethorpe U. Shakespeare’s birthday was a wonderful event. 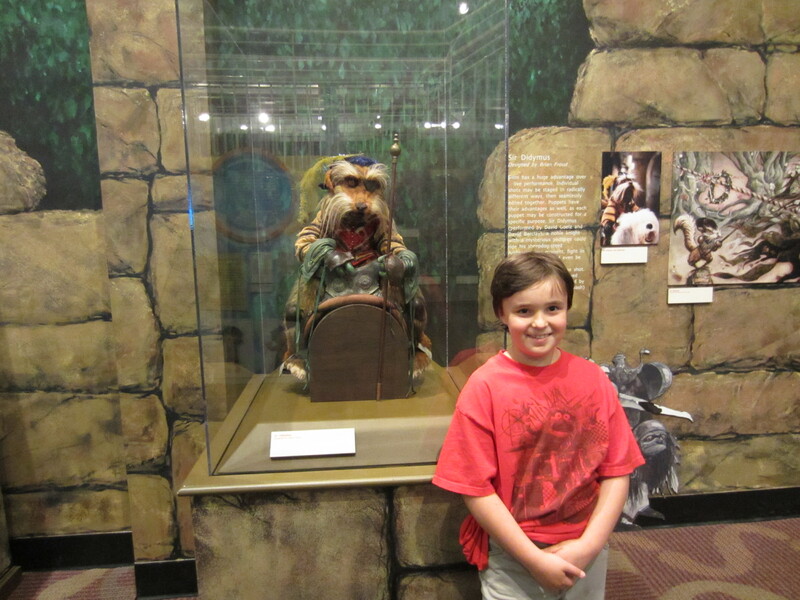 While everything is fun when you are wearing your Animal t-shirt, it is especially great when you go on a Life and Legacy of Jim Henson tour at the Center for Puppetry Arts. Since Grade 3 played their recorders at the school May Fair, it made sense to have a few flower fairies playing recorders on our Nature Table. Our local paper education writer did a story on how busy the month of May can be for school kids. With a bake sale, a concert and recitals, we really were on-the-go for May. whew! 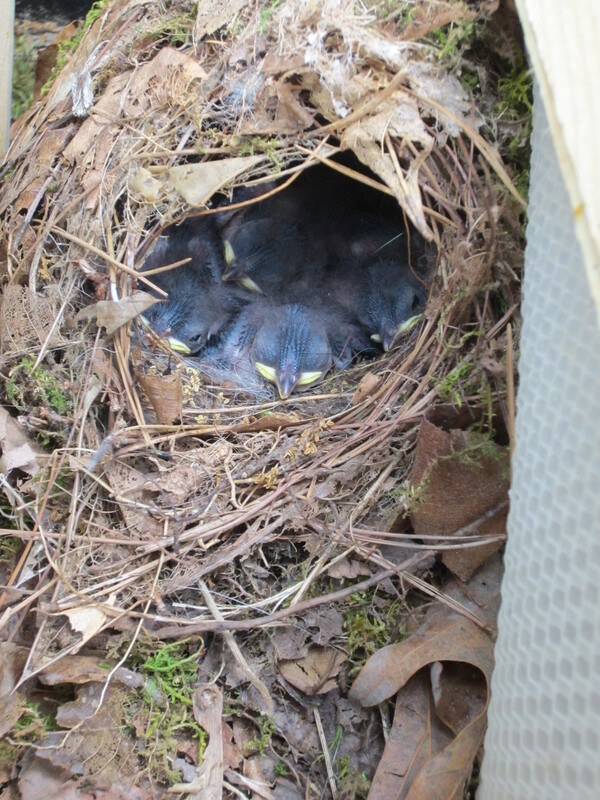 We did get the wonderful opportunity to watch a pair of wrens build a nest in an empty bee hive. 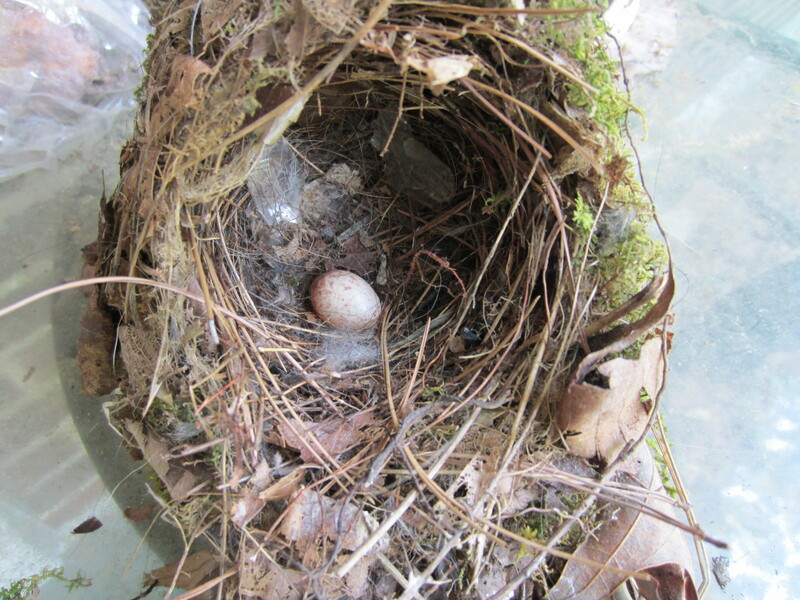 The photo above with the baby birds and the one below with the almost empty nest were taken less than 10 days apart. We even had a Craft Hope deadline in May. 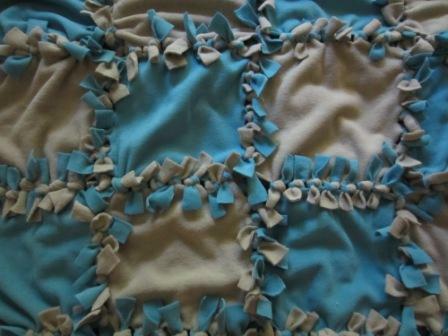 It took many hands to make these lap blankets for Project 21. Now we are in our first week out of school. 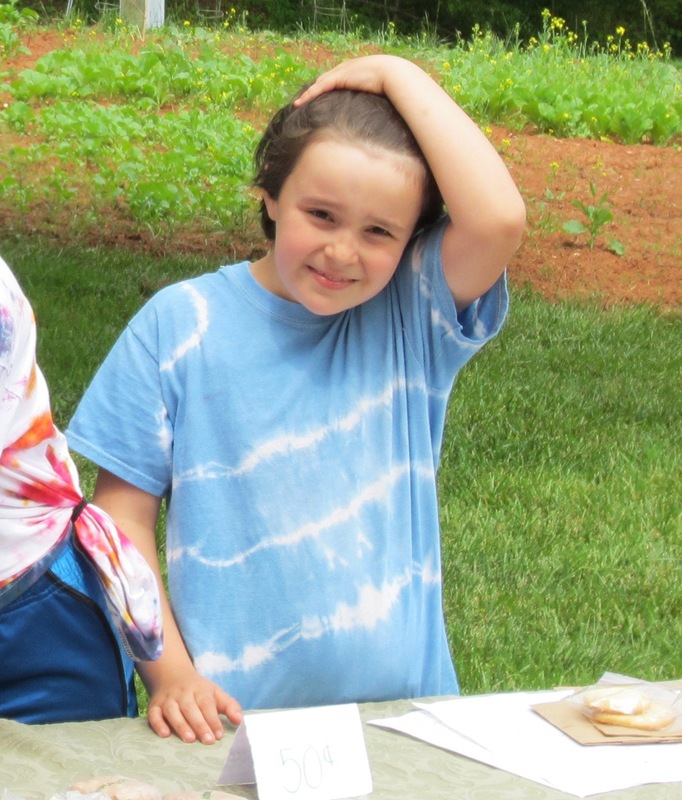 With camps, classes, fun library events and a short trip, it looks to be a great summer! 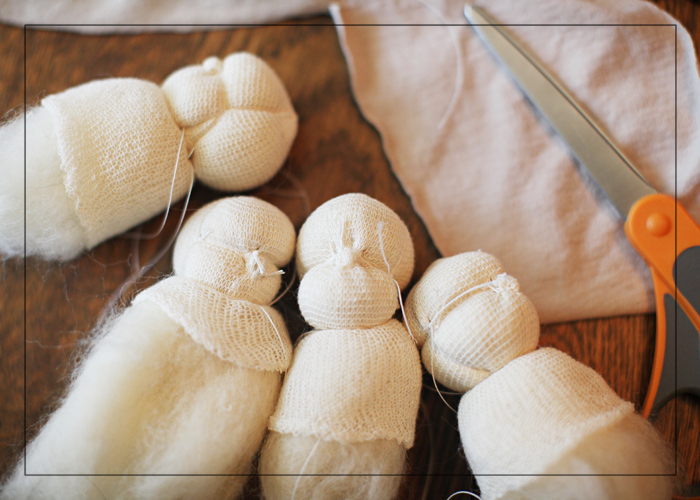 As promised, this week we will share adult and kid-friendly tutorials and patterns to expand your puppet play cast of characters. 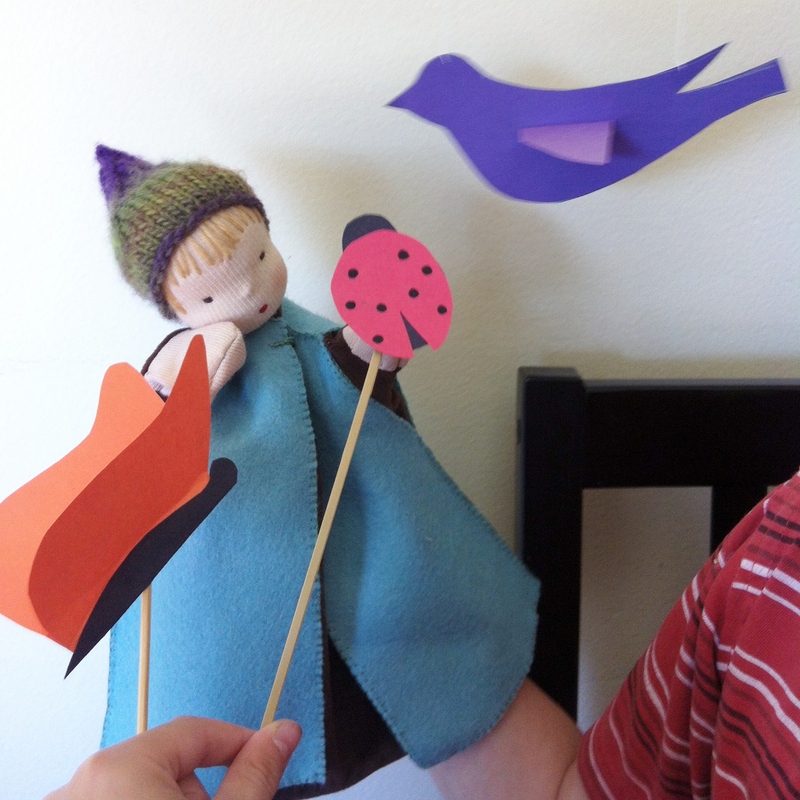 Visit We Bloom Here today for the how-to on these sweet paper puppets. Remember, our puppet swap sign-ups end July 24th. All the specifics on joining are waiting for you at this invitation. 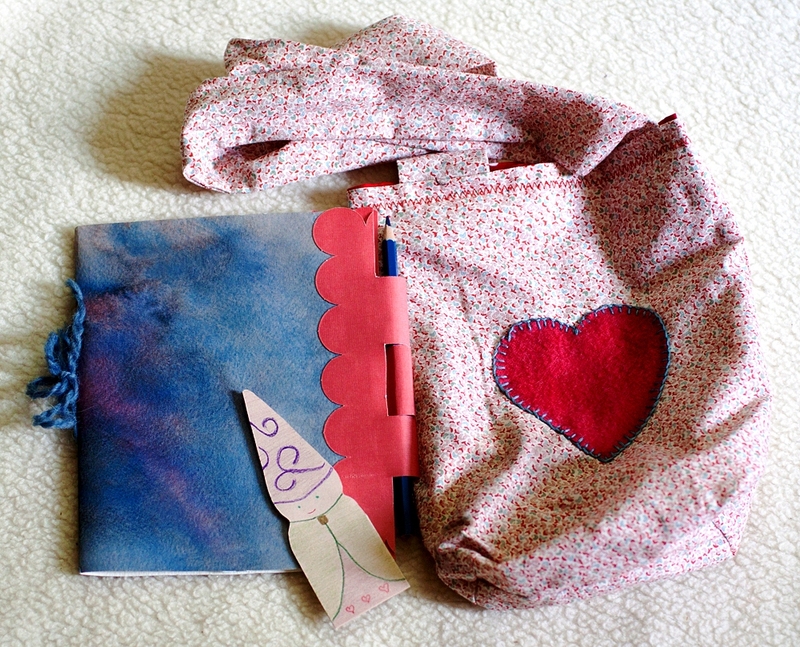 I joined a Sending Love Heart Swap through Natural Surburbia and sent a heart bag, a journal, a gnome page-hugger bookmark (inspired by Wee Folk Art ) and a rose quartz wrapped in a vintage rose hankie. And for Bits of Goodness, I participated in the Summer Swap. 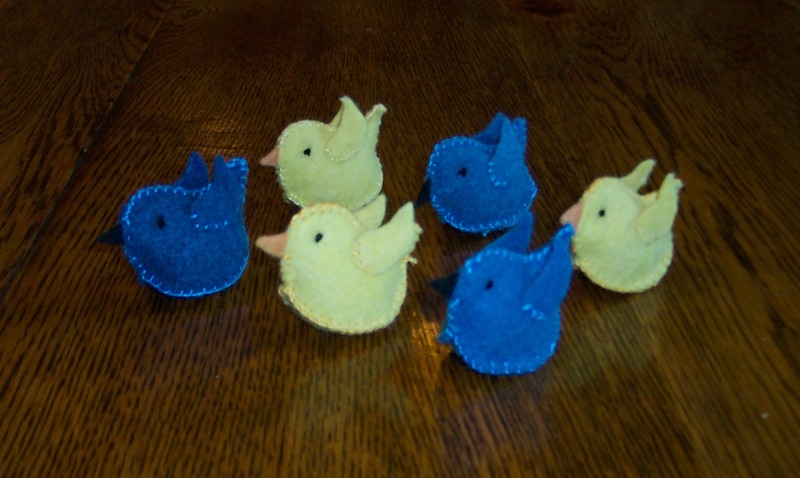 I sent my Famous Frogs and some cool birds from a Myrtle & Eunice pattern. 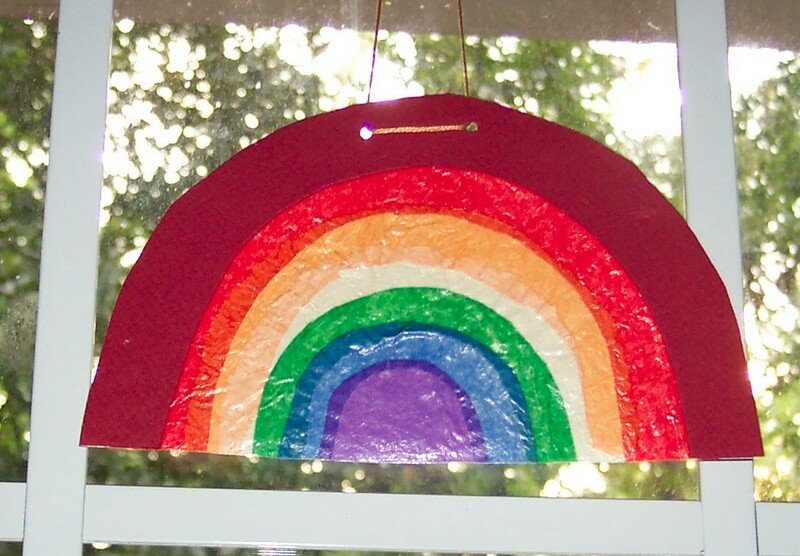 And the Rainbow Swap. 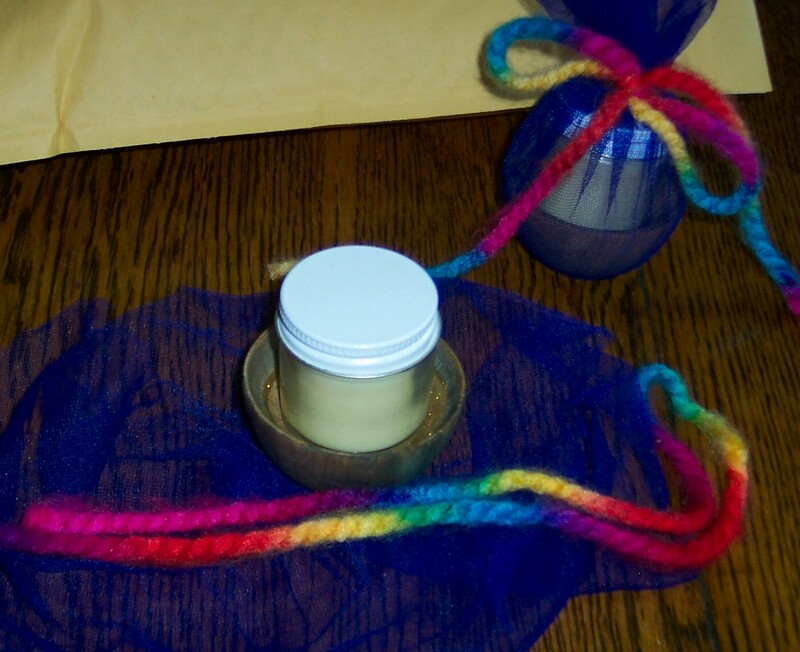 I sent the rainbow and the pot of gold (gold is beeswax balm). And the Fall Nature Table Swap. 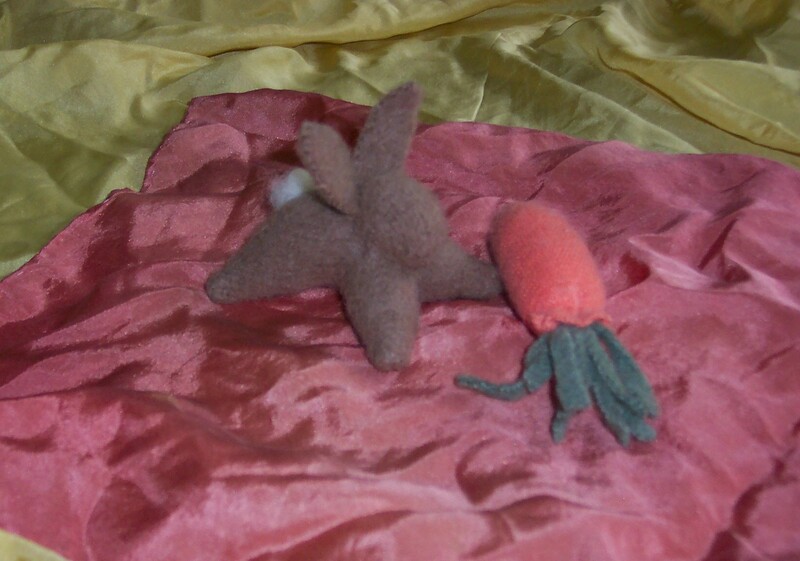 I sent bunnies and carrots. And the Halloween Swap. 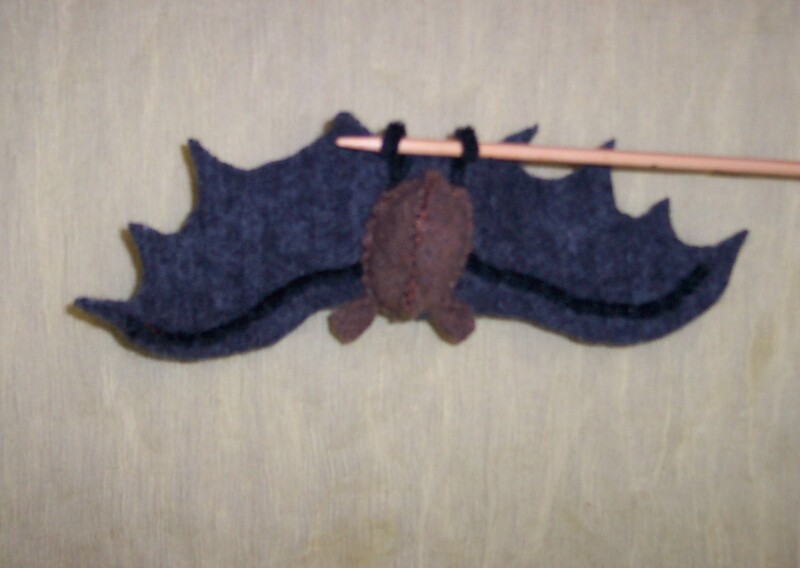 I sent bats. And the Mermaids Swap. 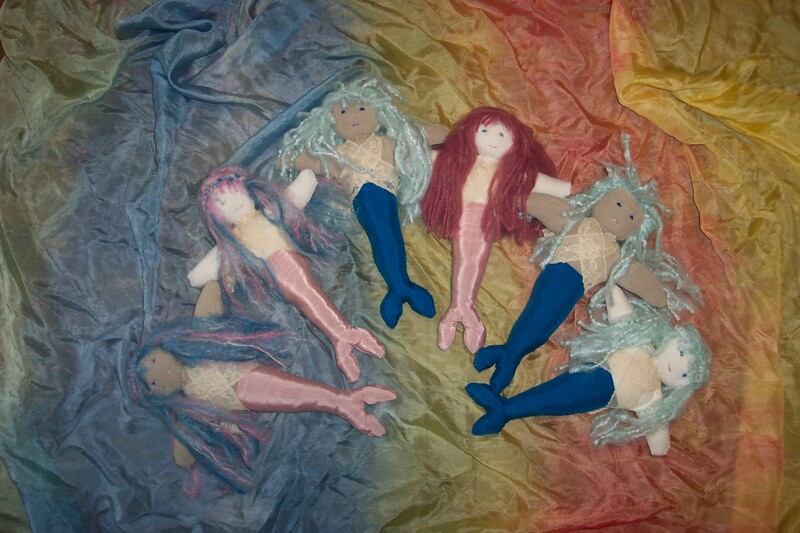 I combined 2 doll patterns on this to make an easier mermaid. I’ve also joined a Fairy Tale Swap through Bits of Goodness. It is a 1:1 swap and the items are bigger and more complex as compared to our usual ‘bits’ for the group swaps. 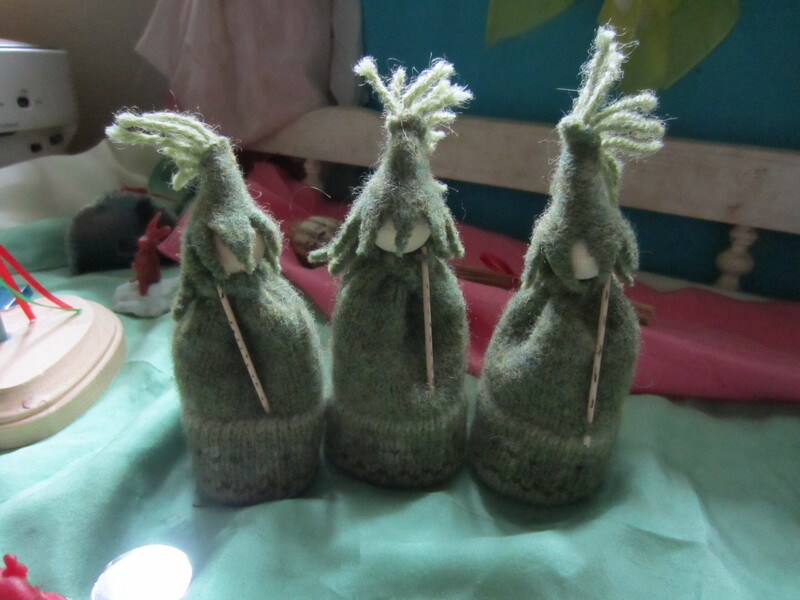 I’ve picked out a story and started working on the figures so that my partner will be able to tell the story to her kids with beautiful table puppets as illustrations. 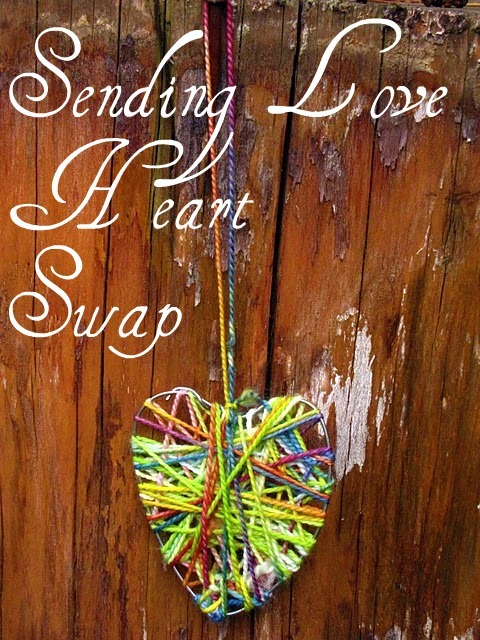 Swaps are a great way to use up materials, meet folks from all over the world and I receive items back that are beautiful and lovingly made! 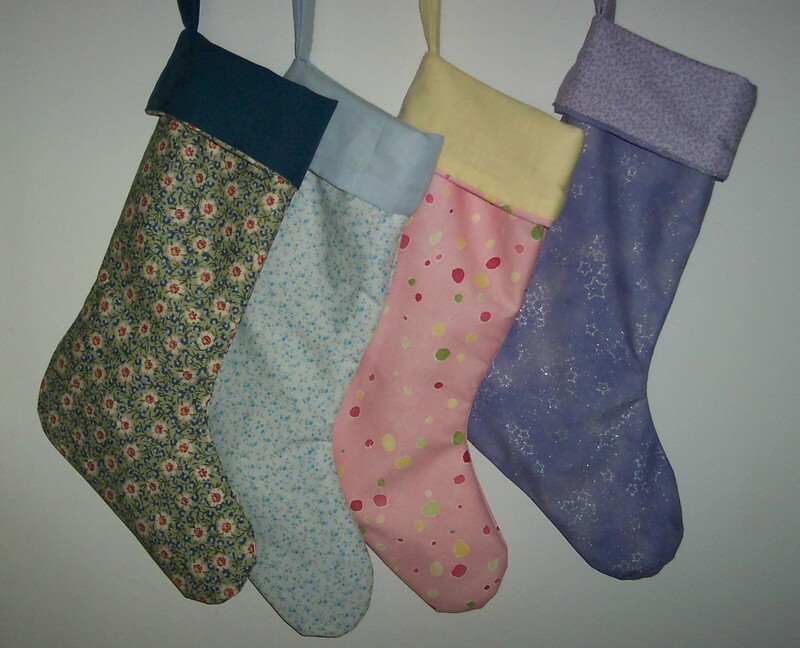 I’m happy to participate in another gift exchange with Margaret at We Bloom Here! I was inspired by the pictures in the Spring 2011 Living Crafts Magazine of the beautiful swans. So if you hold it in the right light and squint a bit, maybe my swans resemble the beautiful ones in the magazine. The story that comes to mind is the Ugly Duckling. While that story has been read often in our home, I really enjoy listening to the version by Rabbit Ears Listening Library done by Cher. Her voice was just perfect for that story. 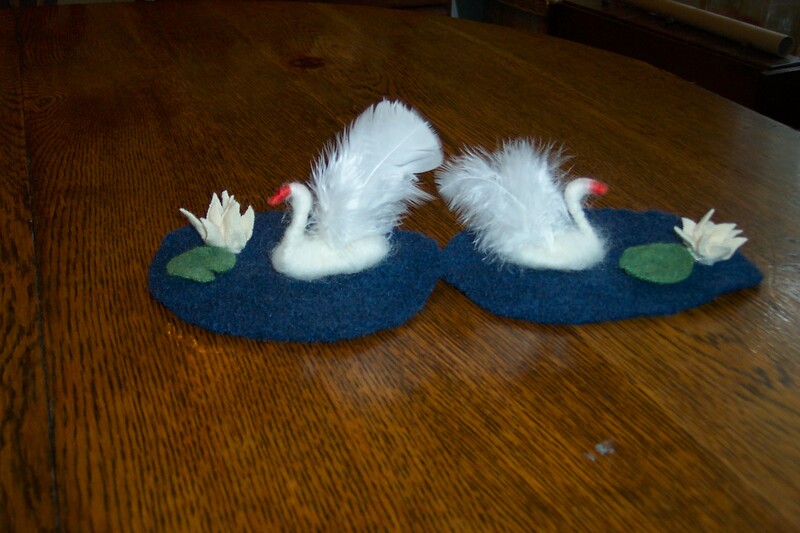 I enjoyed making these swans and the little ponds. I hope my 2 exchange partners like them! Margaret will be posting all the birds in a gallery on her blog, so fly on over to We Bloom Here for more feathered friends! Welcome! I'm glad you have stopped by and look forward to reading any comments you have to share. Who is behind that mask? . . . a growing girl! !